Houston, TX – Bluebonnet Distributing, LLC (“Bluebonnet”) today announced it has partnered with Rogness Brewing Company, LLC (“Rogness”), an Austin-based craft brewer, to build a large-scale distribution territory in the Houston market. This partnership will greatly enhance the ability for craft beer fans to access their favorite Rogness beers beginning in October of 2014. “We are excited and proud to announce this partnership. With 10 regular offerings in bottles and on draft, we are eager to enter the Houston market with an array of beers that is as diverse as the city’s population,” stated Forrest Rogness, co-founder of Rogness Brewing. “We are extremely grateful for the opportunity to help build the Rogness brand in Houston,” stated Timothy Zawinsky, founder and President of Bluebonnet Distributing. “Forrest and Diane have built an outstanding brewery that offers a diverse portfolio of high quality craft beers that are approachable with great flavor. Bluebonnet Distributing, LLC is an independent craft beer distribution company headquartered in Houston, Texas. Bluebonnet’s relationship driven approach to doing business allows the company to partner closely with breweries and to focus on the unique needs of regional craft brewers and microbrewers. Rogness Brewing Company, LLC is located in Austin, TX and specializes in creating small, handcrafted batches of craft beer. Co-founders and owners Forrest and Diane Rogness have been married for 17 years and share a love for brewing craft beer. 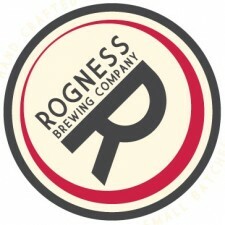 Debuting in March of 2012 with 2 beers, Rogness Brewing Company has successfully brewed over 20 different mainstays, seasonals, and limited releases.